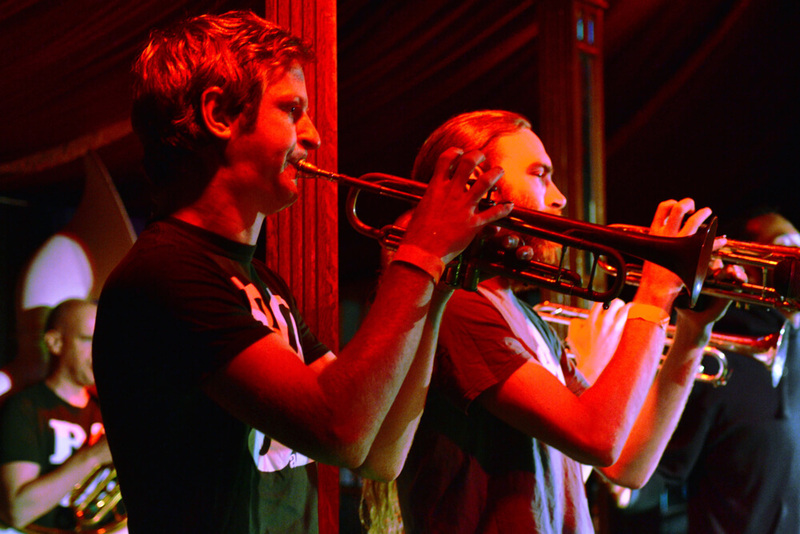 The first manchester jazz festival took place in the summer of 1996. With some financial help from Manchester City Council, a brewery, the Musicians Union and the music department of what was then the North West Arts Board, we put together a programme of nine bands, a DJ, off-stage activities and some enthusiastic beer sampling. What we hadn’t planned for was having to pull the entire event when the 1996 bomb went off and the city centre had to be evacuated. Undeterred, we re-staged the event several months later with the same line-up. The event was a huge success and we quickly realised there was a need for the festival to become a regular occurrence. By 2000, we were commissioning our first major work for the festival, New Futures by Richard Iles. Our goal had been to provide a platform for composers and players to realise ambitious projects and help raise their profile in doing so. We’ve continued to develop this and now have newly commissioned work at each and every festival. To mark the 2002 Commonwealth Games in Manchester, we ran an international exchange programme as part of the programme of cultural events in the run-up to the games. This sparked our ongoing international strand, which today presents debut performances from many international artists each year. 2005 marked our tenth festival. To celebrate this milestone, we commissioned four very special pieces of work from regional composers to premiere at the festival. They achieved national profile and drew sell-out crowds. We were also overjoyed that BBC Radio 3 chose to broadcast their flagship contemporary jazz programme Jazz on 3 live from the launch night. We presented a sleepless nine days of non-stop jazz, in what was widely recognised as our biggest and best festival up until that point. By 2013, we were the longest-running music festival in Manchester, we’d commissioned 15 major new works and were attracting over 50,000 people passing through the festival site each year. 2014 saw us host the inaugural Jazz Promotion Network conference and Jazz North’s northern line showcase. As we turned the corner into our 20th festival year in 2015, we marked that milestone with a host of special anniversary projects which celebrated the achievements we’d made together with our artists, audiences, volunteers, staff and trustees, mjf friends and sponsors. In 2016 we were the proud recipients of the Europe Jazz Network’s Award for Adventurous Programming – the first UK recipient of this prestigious accolade. 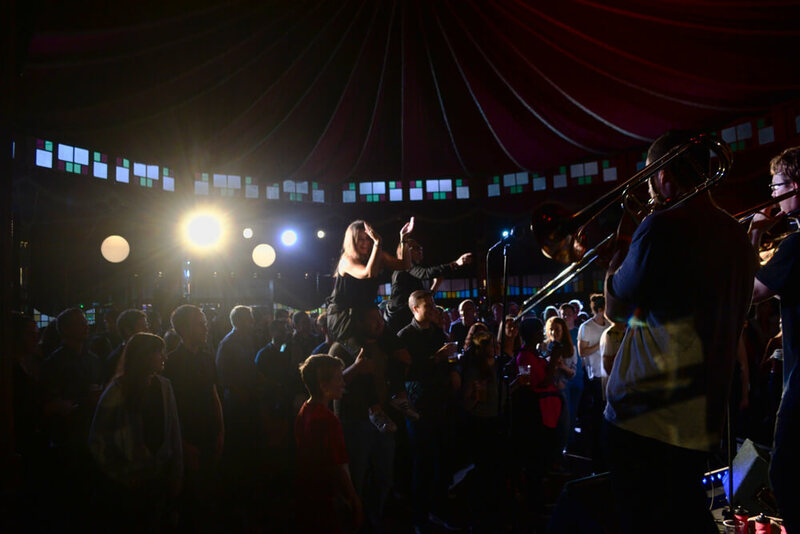 In 2017, the festival continued to grow and we welcomed a venue to Albert Square to match our boundary-pushing programme – the infamous 1920s Speigeltent, The Salon Perdu. We’re incredibly proud to be the first UK jazz festival to be named as a Keychange Associate in 2018. This PRS Foundation initiative strives for a 50/50 gender balance in the music industry by 2022 – a figure we have already achieved in our festival programming. We continue to celebrate our status as a Talent Development Partner with the PRS for Music Foundation. 2019 sees us leave our Albert Square home for the foreseeable future due to the detailed renovations taking place in Manchester’s Town Hall and the surrounding square. We’ve worked really hard to find a suitable new home and after extensive leg work, we’ve settled on St Ann’s Square and Exchange Street. St Ann’s Square was the site of our very first mjf all those years ago, so the move will be a homecoming of sorts, albeit to a much bigger, more impressive home. Amidst these challenges and achievements, new ideas keep coming in, exciting young players emerge and musicians continue to view mjf as a chance to create something special. We’ll carry on doing what we do best.